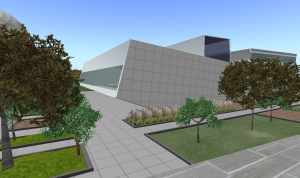 The Wolfe Center for Collaborative Arts, currently under construction on the BGSU campus, has a twin sister… in the virtual world of Second Life. 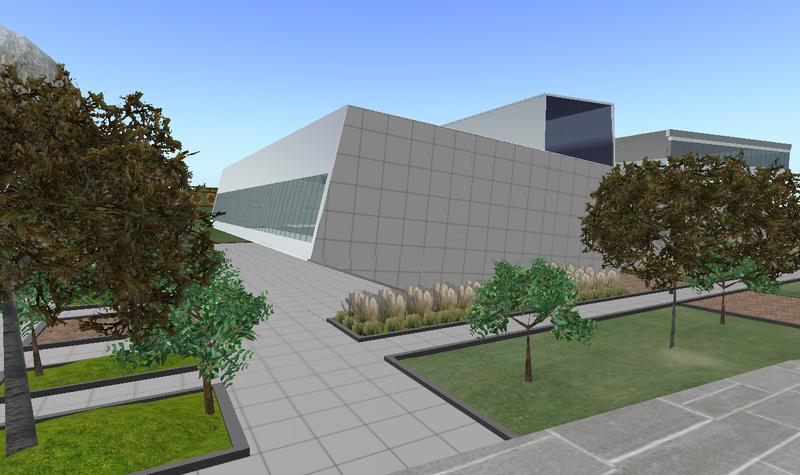 Construction on the virtual replica of the new building began during Fall 2009 and is almost complete. According to Bonnie Mitchell, co-facilitator of the BGSU Virtual Campus, “The campus community is very eager to see and experience being inside the new Wolfe Center. The replica inside Second Life enables people to get a true spatial sense of walking around and being inside this amazing building”. The team of 3d modelers included BGSU Digital Arts majors Josh Treiber, class of 2010, Brandon Moore (class of 2011), and Paul Woidke (class of 2011). The virtual Wolfe Center can be visited at any time in Second Life during its construction, however the grand opening will take place in December during the ArtsXtravaganza celebration in the School of Art. For more information visit http://www.bgsu.edu/secondlife or to visit the Wolfe Center in Second Life http://goo.gl/ZO1f.